With William Hill lottery markets you won’t actually play the lotto in question – you just get to bet on the numbers coming up. This is a great addition to playing the various games – and it also means that you can get involved with some of the biggest lotteries on the planet. How can I place a lottery bet at William Hill? What lotteries can I bet on at William Hill? At the time of writing William Hill offer lottery betting on 49’s, Irish Lotto and the New York Lottery. With William Hill lottery betting you pick numbers that you think might be picked in the relevant lottery and then you have a range of odds depending on how many numbers you have picked and how many of those numbers come up. The New York Lottery is one of the most famous in the world and now you can get involved even if you’re not in that US state. Select your numbers through William Hill lottery and cross your fingers! How does William Hill Lottery match up with the competition? Although William Hill is one of the most established and well-known bookmakers in the UK – and has an enviable online presence – it does not compare too well with their main competitors when it comes to lotto betting. Betting on lotteries is a relatively new addition to online sites and William Hill seems to be playing catch up at the moment. The likes of Bet Fred and Coral have more lottos to bet on as well as more promotions and even dedicated welcome bonuses. There may be a general William Hill new customer offer but not one specifically related to lotto betting. And even on the lottos that are offered the odds do not really compare well with competitors. 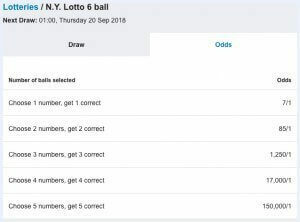 The image below is an example of the types of odds on the New York Lottery at the time of writing – Bet Fred, for example, would pay out more on a winning result. It should be noted that odds are subject to change. 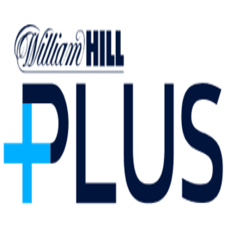 Unlike some of their competitors, William Hill does not currently offer any lotto specific promotions as it does for many of the sports markets. You may be able to get yourself a William Hill bonus elsewhere on the site but none that relate to lottos. 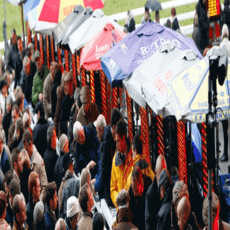 This just means that you can use your promotions in other areas of the site – and as things are always changing in the world of online betting it should be said that this is the case at the time of writing and that more offers may be added in the future. You can, of course, sign up and receive the customary welcome bonus. 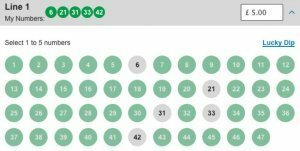 How can I find the lottery results? Once you have placed your William Hill lottery bets you will obviously want to know what numbers came up and whether you are a winner or not. On the William Hill betting site you can click on the links to the 49’s, Irish Lotto and New York Lottery websites to find out how any of the draws have gone. You can also watch the 49’s draw live on Betting TV. Can I use my mobile to bet on lotteries? Yes. 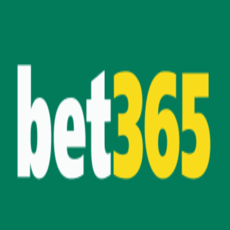 Just find the lottery markets as you would with any other sportsbook bet and choose your numbers. It depends on which lottery you are looking to bet on but the 49’s lottery draws take place twice daily every single day. The Irish National Lotto is drawn on Wednesday and Saturday evenings – as is the New York Lottery (but take note of the time difference with this one). William Hill may well be a market leader when it comes to sports betting but it needs to improve with its lottery betting markets. 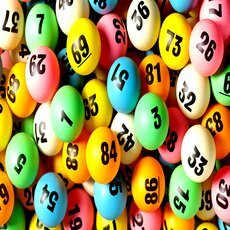 A well-known name is one thing but if you don’t have attractive odds or a good range of lotteries then customers will go elsewhere.